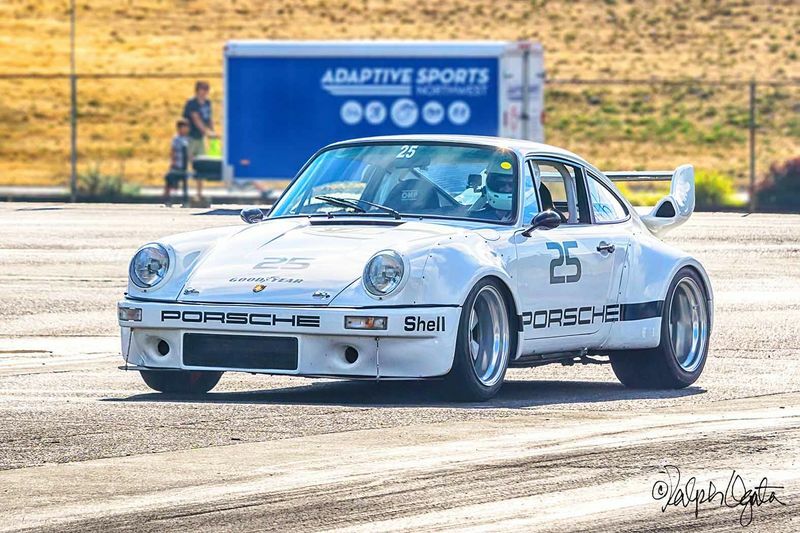 Cost of racecar paint job? 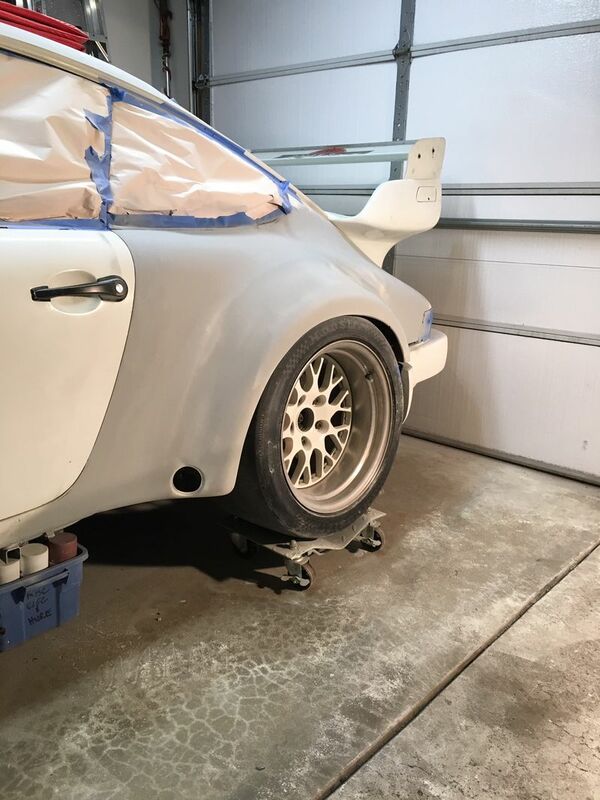 Curious to get some opinions on the cost of having someone do a racecar paint job. I am talking about a paint job that looks good from 10 or 20 feet away, definitely not a show car job. And I'd want to use a single stage paint to make repairs or respraying just a portion of the car easier (unless someone tells me my logic is wrong on that). - I am doing all the mounting and fitting of the fiberglass panels. - I am handling the repairs of the scuffs and other minor damage from shipping and storage of the panels. I'll also do filler to cover rivets, etc. - I can also sand of the panels with 300 grit on an orbital sander. For paint I'm envisioning something like the single stage paints that Summit Racing or Eastwood sell for ~$100/gallon. I had a small shop south of Seattle do mine last year for $3500. The car was nearly how you described. It was a fair bit of prep work, though. There were some rough spot he had to fix (I told him to) and filled in the original flag mirror holes so I could replace with smaller side mirrors. It even looks great close up, too! I'm sure with minimal prep you might find something between $2000 - $3000? Last edited by flat6pilot; 12-02-2018 at 10:08 PM..
Too many factors to know in your case. 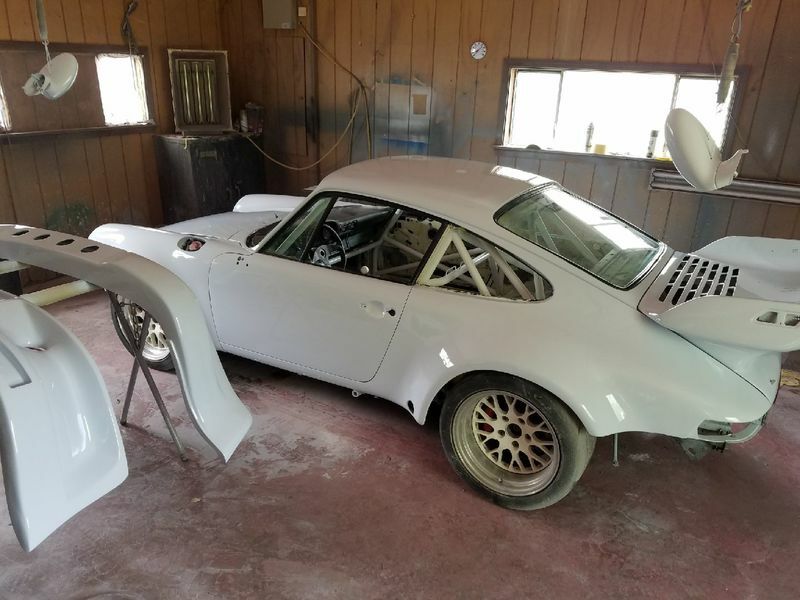 I had mine painted in April, but I did 90% of the 930 rear flare work myself and had wet sanded then entire car. Zero rust on the car, nice clean chassis and body. Decent GP White paint. All glass out, bumpers off. So it was essentially a block sand, primer, wetsand, primer again then shoot the paint, cut and buff. 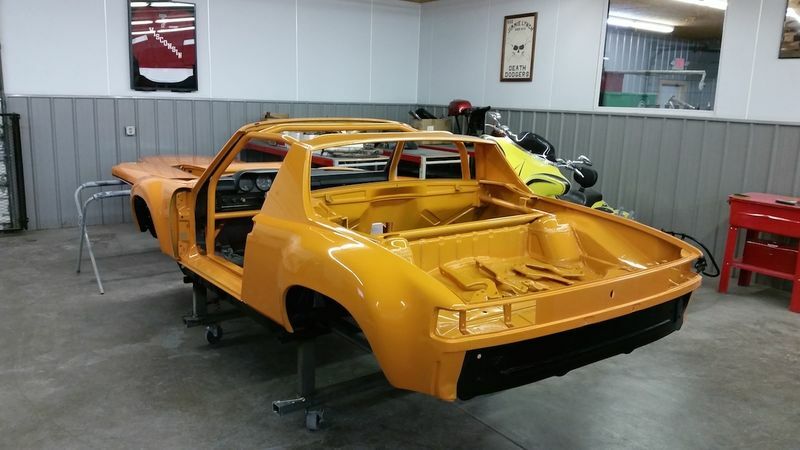 I was going to have the car painted 70's Ferrari Fly Yellow, but the paint was $800/ gallon, job would have needed 2 gallons so it was $1600 in just the paint itself. So I decided on Glacier White to better work with the Martini graphics. Paint shop donated the paint for my putting their logo on the wing and eventually on the top of the windshield so that save me $500. My paint guy is a small shop who does a lot of street rods, did my car as a side job and I still paid $2500 to shoot the car which was way cheaper than 2 other places wanted to charge me. You might also consider a vinyl wrap. They are pretty popular these days, and are usually less expensive than a paint job. They don't hold up for as many years as a half-decent paint job, but that may not be a concern on a race car. Thanks guys - appreciate the input. Sounds like about what I expected. 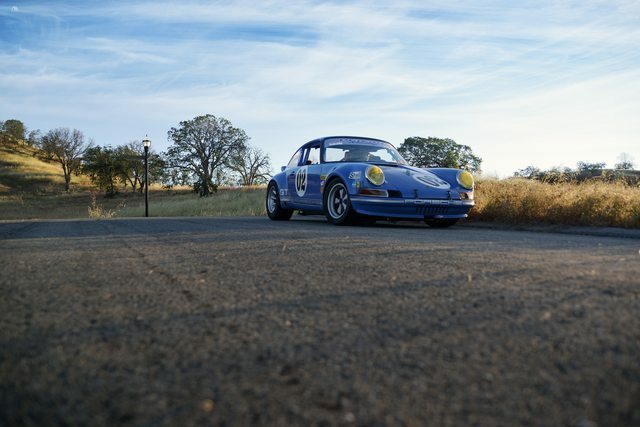 175K911 - does that spoiler/wing look familiar? Yup, and if you look really close inside the tail there's still a spot of red that never got white paint on it. Gotta love Pelican, amazing how many parts on my car came from others on here! FYI- I talked to two places about wrapping my car, both were over $3,000. But that is Chicago area pricing too, might find it less other places. I would have painted my car myself if I could have found a good place to do it. So I consider the $$ I paid somewhat of a great deal. Nice young guy who's just been in business a few years, was prepping a Factory Five Cobra, an old Ford F100 pickup, and a 70 Charger recently when I dropped my step-daughter's 4wd pickup off for him to do some paint touch up work. Love giving business to hard working guys who take pride in the work they do. Ed, your car look very good. Had no idea you went widebody!! I am 100% with you on "giving work to hard working folks who take pride in the work they do!" Hey Jeff, thanks. Wide body, coilover, 3.6, Tilton/Fabcar dual MC for the 996TT brakes. Some of your parts in there too, I believe the fiberglass roof panel and the Rothsport cage started out in your hands? I’m a huge believer in supporting hard working folks. My wife’s family runs a well respected furniture store in WI. Celebrated their 156 year anniversary this past weekend, her father ran the place until 15 years ago, handed the keys to her brother who just retired and handed the keys to his two sons, the 6th generation to lead the company. I have a lot of respect and admiration for people who start and run their own businesses- like how you saw the need and created the 17” Fuchs and now Turn3. Or Charles Navarro with his world renowned LN Engineering IMS repair parts and his oil knowledge. I had local Hot Rod shop give a quote of 3 to 5,000. to do final prep and complete paint. 1998 993 Carrera S, speed yellow (Yellow Bird) gone but not forgotten. great looking tackcar. who made your bumpers they look to be the correct shape. whats the name of this shop? I like to fill mirror holes as well. The bumpers are from Rennspeed, but I modified the ends myself to match the flares. Shop is in Pacific, Wa. Ilya is the guy that painted my car. Please, Please paint your rims to match you paint...very awesome otherwise!!! $1500. Still looks awesome. Do not go overboard since it is a track/racecar. Now that's what I'm talking about! I realize you're in CA and I'm in NY, but where did you get that done? Do you happen to know what kind of paint they used? That’s the difference between Grand Prix White and Glacier White. Car was originally GPW, I’d had the centers powder coated to match. 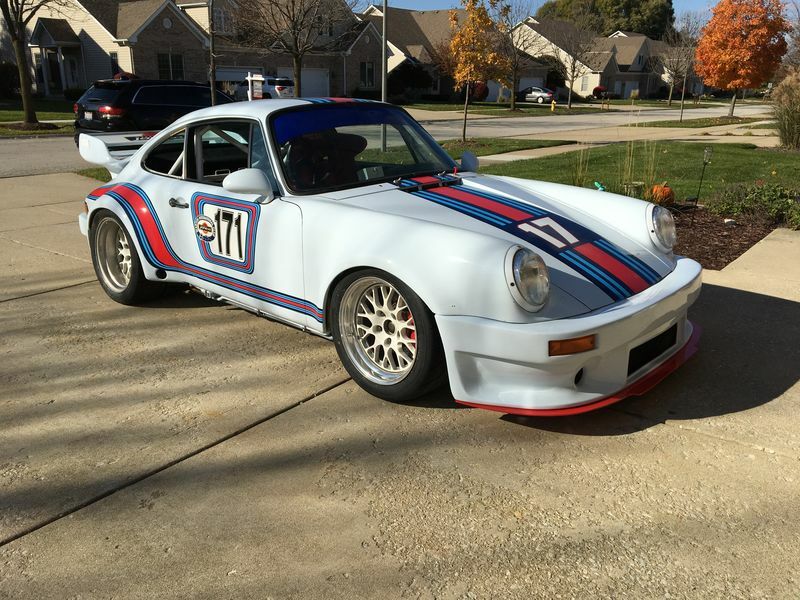 Went with Glacier for the full glass out respray to better match the Martini graphics. As soon as I find a decent set of used 18” wheels for track use, I’ll disassemble these to have my powder guy redo these to match. Just not really high on the list of priorities.